I was walking through my kitchen the other day and happened to glance out the window just in time to see several birds swoop in and land in the backyard branches. 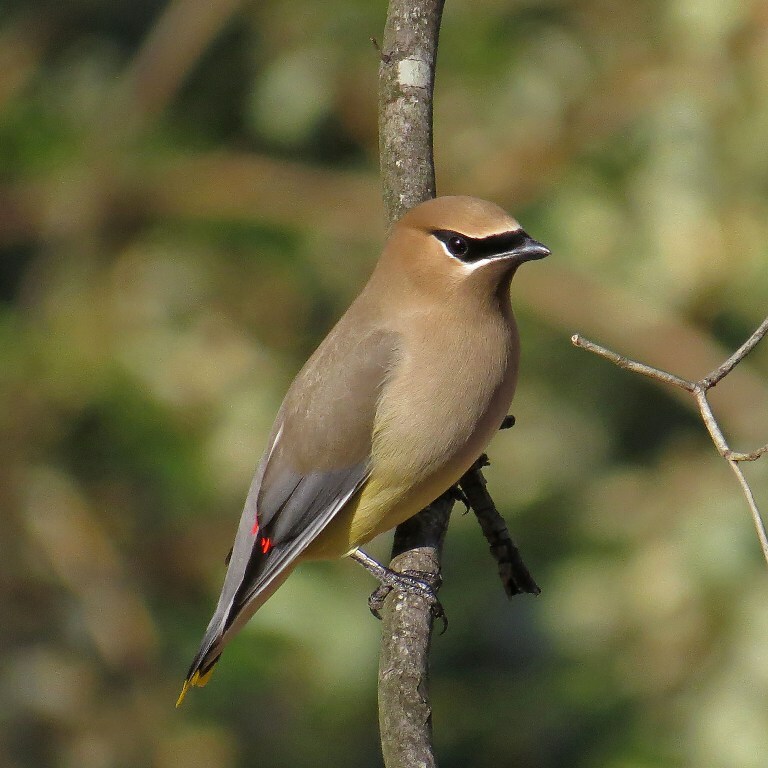 Sure enough, a handful of Cedar Waxwings had descended to soak in the sun. Of course, as soon as I saw them my mind immediately forgot what I was suppose to be doing (I later remembered to feed the dogs their dinner!) and I quickly reached for the camera. 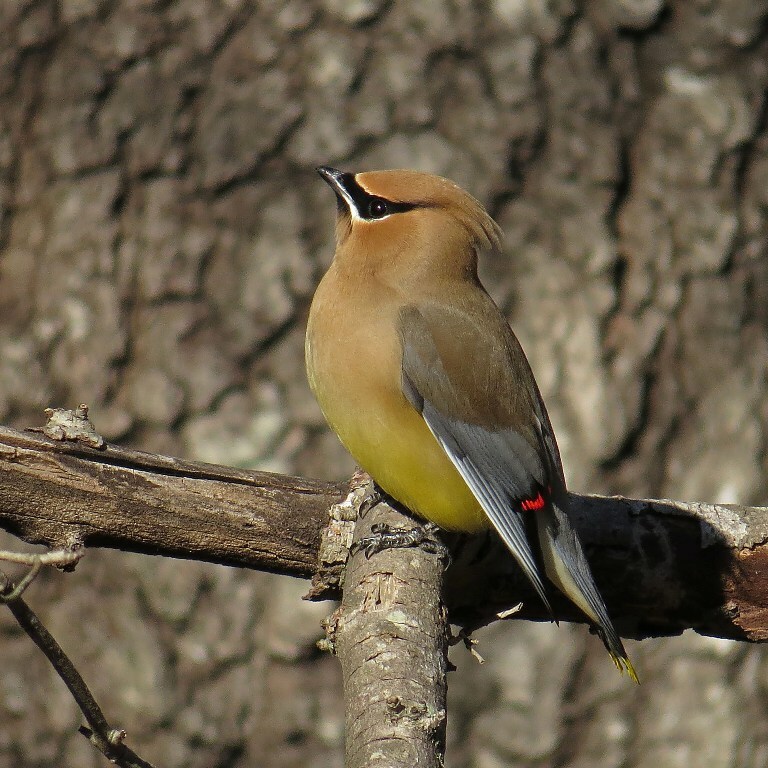 After all, this might be the last chance of the winter to take Waxwing pictures. The air was downright chilly, and a couple of them poofed themselves up for added insulation, making them look like fat little feather balls. I think one of the reasons I love Waxwings so much, besides their bandit-style beauty, is because they seem to get along with each other so well. They tend to show up in a large group (which is called an “ear-full” or a “museum”, by the way) and yet I’ve never seen them fussing or fighting with one another. They share a sweet sense of community. 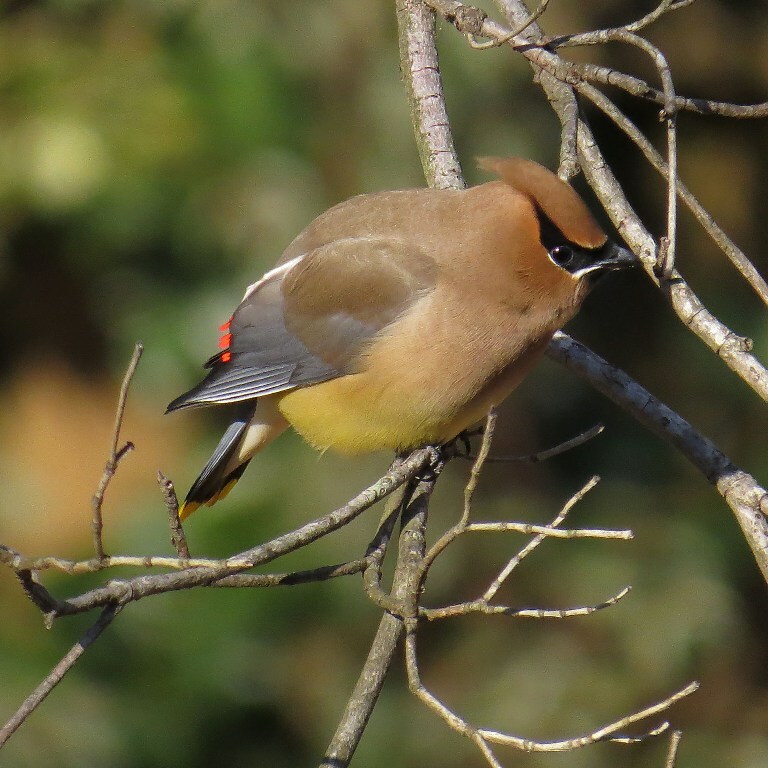 Waxwings are prolific berry eaters and can strip a tree clean before you know it. On occasion, they have been known for “FWI” (yep – flying while intoxicated!) because they chose to eat fermented berries! I forgot to mention in my last post that my daughter and I brought home a souvenir from our mother-daughter get away – a jeep covered in Waxwing poop! We made the mistake of parking under some sort of berry tree on our last stop of the journey and Earl ended up a speckled mess. We tried to stop at a gas station and clean the windshield, but all the squeegees were frozen! Ah well…I guess prolific berry eaters would have to also be prolific poopers! 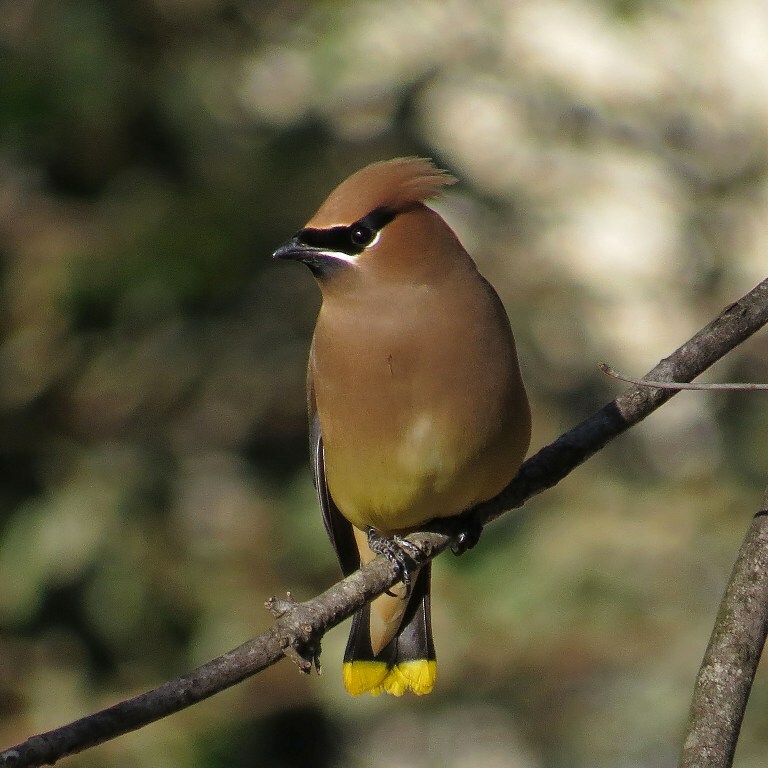 This entry was posted in Backyard Birds and tagged adventure, backyard birds, bird photography, bird watching, birds, jeep, nature, photography, waxwings, writing. Bookmark the permalink. I welcome them any day, despite the mess they make! Have you seen many in your neck of the woods? Lovely! Why are they called wax-wings? Because of the red waxy looking tips on their wings. These get more pronounce as they get older. 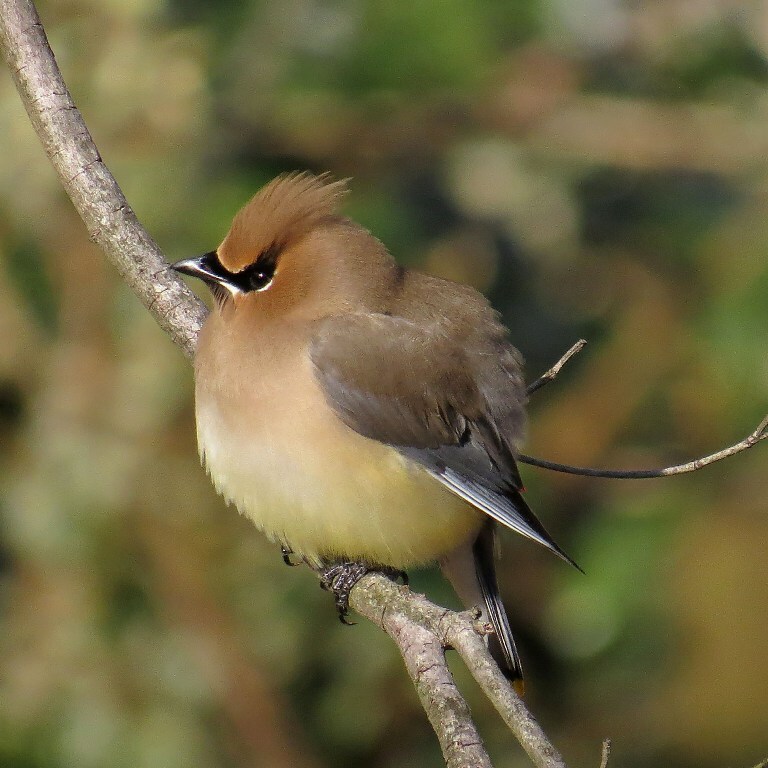 Waxwings always look angry, and your pictures captured those angry looks. Great shots. 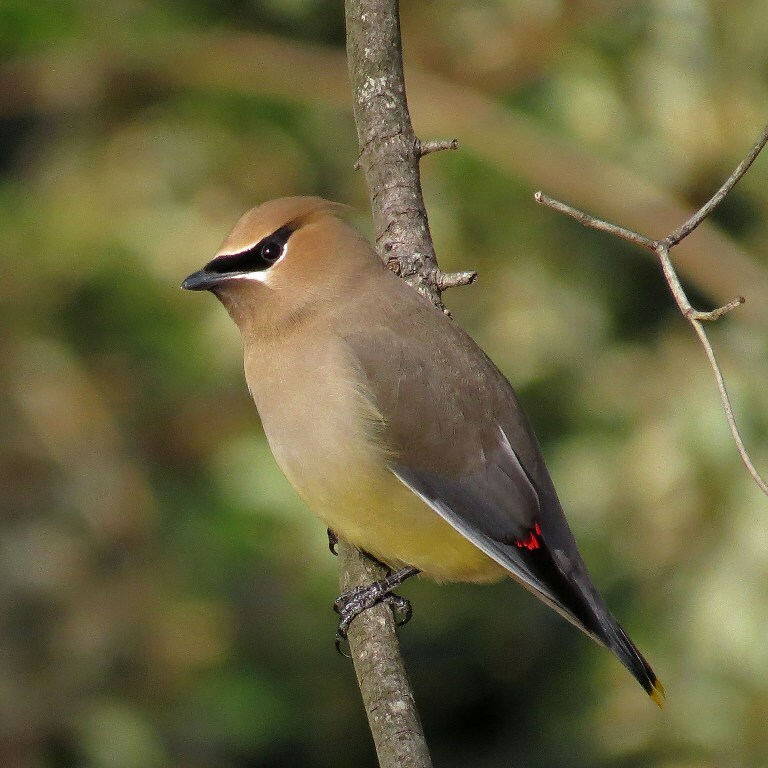 The Waxwing is a beautiful bird. I love the colors. Great photos! I like the whole ear-ful of your bandits 🙂 Beautiful shots, Kathy! We had Waxwings in our backyard when I was a child, but haven’t seen them much since. They are so beautiful and I love how you write about them. The fluffed up picture is adorable! Thanks – I never get tired of seeing them! I don’t know where you are but I’m in NC and have a farm full of mulberry trees heavy with berries in spring. Each year, waxwings swoop in to the tree outside my office window and have a feast. I think it’s interesting that they go for the sweetest fruit first. For some reason, the fruit on that tree is always the best. After clearing it of ripe fruit, they swoop off to the other trees. For dessert I suppose. I’m surprised you’re photos are of them in winter. I thought things flew south for the winter. Do these stay up where it’s cold? They must leave your house and come to mine on the way north.